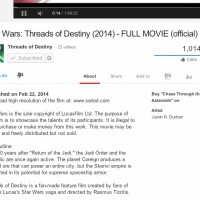 Star Wars: Threads of Destiny has past the 1 million views on YouTube. To celebrate, I’m giving the album away for free! The full length feature fan film was released online Feb 22nd, 2014.